The 57th Commission on the Status of Women took place from 4 – 15 March 2013 at UN headquarters in New York City. 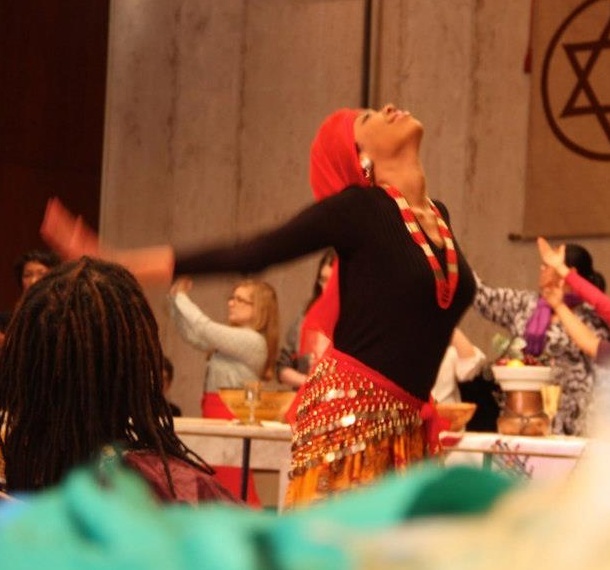 Click here for all CSW57 blog-posts! For background information about the Commission on the Status of Women and how Ecumenical Women undertakes advocacy, please go to the About CSW section of this site. It includes more about the history of CSW, how the commission functions and some past examples of Ecumenical Women’s work. 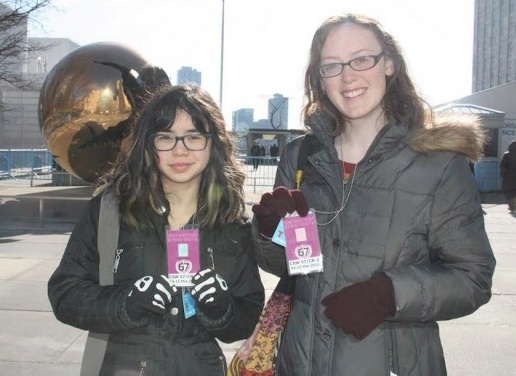 For the UN CSW57 website, click here. Ecumenical Women submitted a joint advocacy statement signed by many of its member organizations to the United Nations, which can be found here: CSW57 Joint Advocacy Statement. We worked to influence the outcome of the Agreed Conclusions based on the recommendations in this statement organized into three priority areas. A document which supports EW’s recommendations with previously agreed upon language can be found here: CSW57 Recommendations. Ecumenical Women achieved great success in getting supportive language around each of our three priority areas into the Agreed Conclusions, as detailed here: CSW57 Outcomes. Ecumenical Women organized a full-day orientation session for delegates on Saturday, 2 March consisting of worship, how to do advocacy at the UN, and time to explore together the CSW57 theme. We also held evening advocacy debriefs on both Mondays, Tuesdays, Thursdays and the first Friday during CSW57 in the Mezzanine of the Episcopal Church Center at 815 2nd Avenue. 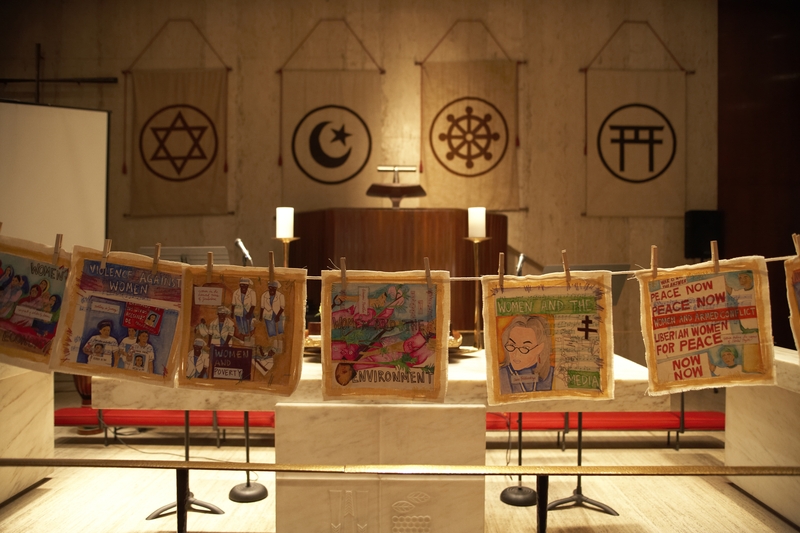 Daily worship took place each morning in the chapel of the Church Center for the United Nations and two advocacy dinners were organized as well. The empowerment of rural women and their role in poverty and hunger eradication, development and current challenges. Financing for gender equality and the empowerment of women. For more information, visit the UN’s CSW 56 website. Read the EW Advocacy statement here. Ecumenical Women hosted a full-day orientation session for delegates on Saturday, February 25th consisting of worship, how to do advocacy at the U.N., and time to explore together the 56th CSW theme. In addition, EW hosted two networking dinners for delegates in the Church Center for the UN on March 1st and March 6th. Ecumenical Women is an evolving model of collaboration for international advocacy for gender equality and justice. Members of Ecumenical Women advocate not only for a few improvements but for a fundamental system change in church and state while working to both invest in and empower women worldwide. As a coalition, we seek to give those traditionally excluded from political decision-making bodies opportunities to speak truth to power, through partnerships with our communities and by bringing women and a few men from around the world to the United Nations. For us this includes young people and people from the Global South. Over 8,500 men and women are registered to attend the UN’s 55th Commission on the Status of Women. This year the CSW will focus on “access and participation of women and girls in education, training, science and technology, including for the promotion of women’s equal access to full employment and decent work” and reviewing the theme of “elimination of all forms of discrimination and violence against the girl child” (www.un.org). To prepare our advocates, we organize an annual capacity-building training and orientation for our membership prior to the United NationsCommission on the Status of Women. The training includes capacity-building and formation on advocacy within the UN system, theological reflection and analysis, as well as panels and discussions on the advocacy theme. In order to introduce delegates to the UN mechanism, the work of the CSW, and the history of Advocacy for Women’s Rights, EW published the advocacy guide “Faith at the UN. Gender in the Church“. Ecumenical Women also submitted the followingstatement for CSW 55. A summary of our three main advocacy messages, supported by detailed asks for the Commission, member states, and civil society. A list of side events sponsored by Ecumenical Women and other events hosted by our partner organizations. A landmark human rights declaration calling for an improvement in the status of women and girls. Women and men joined together in common faith, sacraments and ministry to contribute to achievement of gender equality, development and peace. The World YWCA joins the United Nations, the Commission on the Status of Women and organizations around the world in commemorating 15 years since the Fourth World Conference of women and the Beijing Platform for Action. In March 2010, the Commission on the Status of Women will undertake a fifteen-year review of the implementation of the Beijing Declaration and Platform for Action and the outcomes of the twenty-third special session of the General Assembly. Find your country and evaluate its progress on women’s rights. The resource prepares delegates from faith-based non-governmental organizations for effective action at the annual United Nations meeting. This guide offers 16 different devotionals, reflecting each of the 12 areas of the Beijing Platform for Action and the four major sections of Ecumenical Women’s advocacy statement. It is designed to help ground our advocacy in our faith and the Bible. 2010 marked the 15th anniversary of the Fourth World Conference on Women in Beijing. Under the title “Resurrect Beijing! Calling for a Renewed Commitment to Women’s Rights”, Ecumenical Women planned several regional meetings in preparation of 2010 United Nations Commission on the Status on Women. Bringing together women and men to discuss the process of gender equality over the last 15 years enabled Ecumenical Women to continue being a strong advocate for gender equality during CSW. Resurrect Beijing will allow the grassroots voices to be heard at the UN. Read more detailed information about Resurrect Beijing! and your chance to organize a meeting in your community in the EW guide with template agenda.